Rocket 5K- yeah it’s tough, get over it. 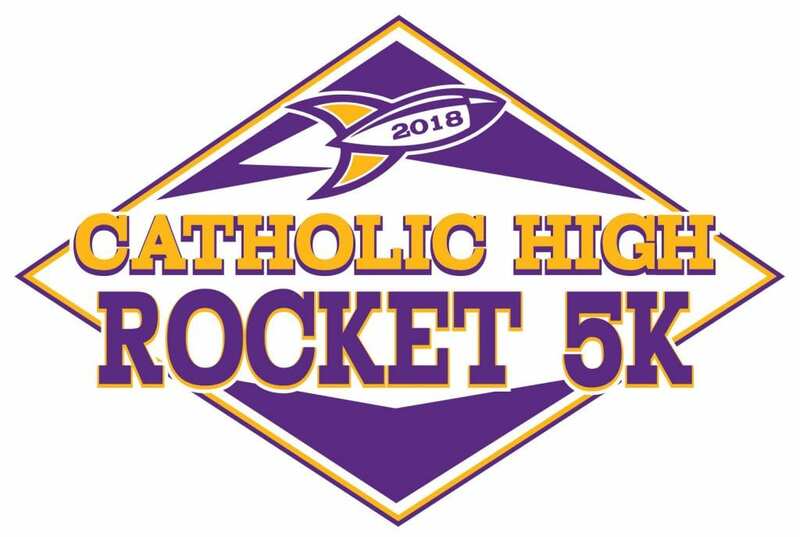 The 13th Annual Rocket 5K Race will be held on Saturday, April 13, 2019, at Catholic High School. The Rocket 5K Race is tough, living up to the theme “It’s Tough…Get Over It” but is also is a family race.You can run or walk the 5K or 3K. You can bring your dog to walk the 3K with Zeke, the CHS resident canine. Children 10 and under can participate in the Kids’ Rocket Dash. Each child who participates goes home a winner with his or her very own medal. There is a 100 meter dash for 1-4 year olds and a 300 meter dash for ages 5-10 divided into age groups. Begins after the finish of the 5KRace/3K Walk, around 8:45 a.m.
To positively impact our community by providing access to health and fitness opportunities and financially supporting academic excellence. 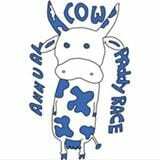 The Cow Paddy Run is comprised of a 5K and 1K Fun Run at Gulley Park in Fayetteville, AR hosted by The Spark Foundation, a local 501(c)(3) non-profit with a mission to create a positive impact in our community by providing increased access to health and fitness opportunities while supporting academic excellence. Proceeds support innovative educational projects in schools through the Fayetteville Public Education Foundation as well as our Foundation’s outreach programming. 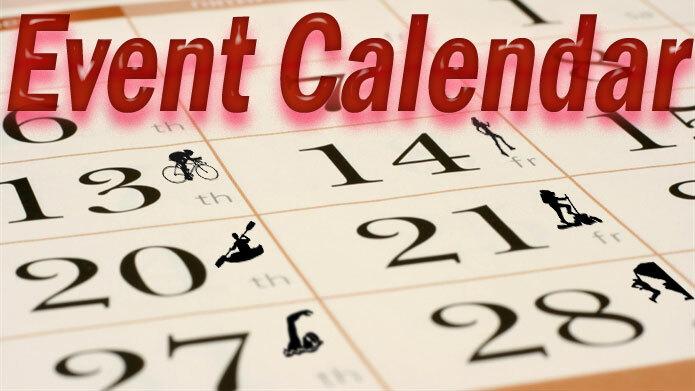 4 EVENTS – Duathlon, 5K Run, 1 Mile Fun Run/Walk, and Bike Time Trial. 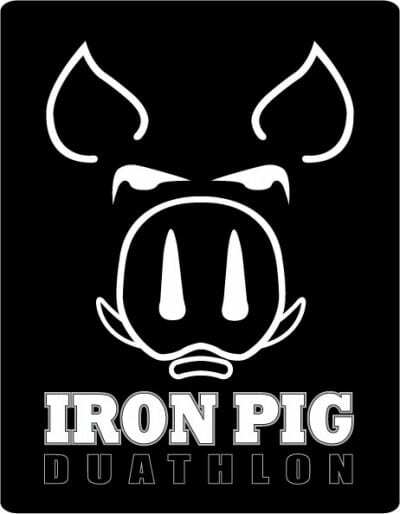 A USA Triathlon sanctioned duathlon that consists of a 3 mile run, 18 mile bike and 3 mile run. 5K Run and a 1 Mile Fun Run/Walk which are both held on the same course. The flattest course you’ll ever run/walk on! USA Cycling sanctioned 17 mile bike time trial. Known as the “race of truth”, cyclists can test themselves against the clock. Several categories with a non-aero equipment category as well. Come set a course record or test yourself against the times of the duathlon competitors. THE COURSES:The run courses are flat and fast! The bike course is out and back on Scenic Hwy 71. The finish is located just in front of the airport terminal. This course is geared to people looking for a challenge, but is not too hilly for an early season test. A good first-time event for an individual or team or a great way to kickoff the race season for the seasoned athlete. The MacArthur Park 5K is an annual race in downtown Little Rock coordinated by the MacArthur Park Group, Little Rock Parks & Recreation and Downtown Little Rock Partnership. 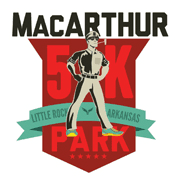 (macarthurparklr.com) The 3.1 mile race (5K) begins from the North Lawn (9th Street) of MacArthur Park in front of the MacArthur Museum of Arkansas Military History. The MacArthur Park 5K is held each year in May. Proceeds from the race are used to support projects in the park. 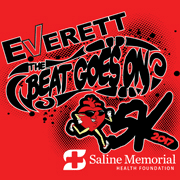 Packet pick up and registration is from 5 p.m.- 6:45p.m. on Friday, May 4 in the MacArthur Museum of Arkansas Military History (upstairs). You will receive your t-shirt, bib and chip. The race will begin promptly at 7 p.m. This race is timed using chip timing. Each chip must be returned to the race organizers once you cross the finish line. The 5K race will start at 8:00 a.m. followed shortly by the 1 Mile Fun Run on Saturday, May 4, 2019. The race will begin at Christ the King Ministries Building parking lot located on the corner of N. Rodney Parham Road and Pleasant Forest Road, Little Rock, AR 72212. Look for the Fleet Feet arch. NEW! Timing chips will be used for both the 5K and Fun Run! Chip pick up begins at 7:00 a.m. The course will include two water/Gatorade stops. Registration and Packet Pick-Up will be held Friday, May 3, 2019 from 7:30 – 9:00 a.m. 11:30 – 1:00 p.m. and 2:30 – 5:00 p.m. in the Safe Room of Christ the King Catholic School. Packets may also be picked up the day of the race from 7:00 – 7:30 a.m. at the Fleet Feet arch or in the Eckert Center if it is raining. Chip pick up begins at 7:00 a.m. on Race Day. Virtual Runners will receive a t-shirt only, no packet. T-shirts should be picked up during Packet Pick-Up times. Download the race registration form at ctkrexfest.org for more information including awards information and course maps! Developmental Wings will host the Super Heroes for Autism 5k and 1 Mile Fun Run on May 11, 2019. This is a great excuse to dress up as your favorite super hero and raise money for our programs. Early Registration is available now through April 12th and guarantees a t-shirt for each participant. Late registration is available April 13th through May 10th. The race will start at 8:00 a.m. downtown at the Riverfront Amphitheater. Race day registration will begin at 7:00 a.m. We will offer early packet pick-up on May 10th from 5-7 pm at Creekmore park. There will be medals for the top male and female finishers and age group awards. There will also be prizes for best costume in individual male and female (adult and children) categories and prizes for the best “TEAM” costume! Women Run Arkansas Running Club, an RRCA organization, was formed in 2000 in response to the need for a statewide women’s running and walking club. The mission of WRA is to address the special needs of women’s fitness, while promoting health and fitness through running and walking. Timing chips (B-tags) are attached to bib and DO NOT need to be removed! Attach bib to front of shirt and you are good to go! After the race hang around for the awards presentation, door prizes and a raffle drawing to win an Apple iPad or shopping spree at The Sporty Runner. Raffle tickets are available in the online store or may be purchased during packet pickup. TGR100/MTB/5K Run/Walk benefits the Community Services Clearinghouse. Route Distances: Road Ride 10, 28,42,66 and 100 miles, the Mountain Bike Ride is a 15 mile guided Mountain Bike Tour and the newest addition is the 5K Walk/Run. We offer a course for riders of any skill level. Entry Fees: Registration is $50 for the TGR , $45 for the TG Mountain Bike Ride and $35 for the TG 5K Walk/Run. The Clearinghouse is a well-established, non-profit organization located in Fort Smith, Arkansas, that provides emergency assistance to families and children in need throughout seven counties in Arkansas and Oklahoma. The most well-known program the Clearinghouse offers is the Meals for Kids backpack program, which distributes over 2,500 sacks of weekend food each Friday to children who otherwise would go hungry before returning to class on Monday. A three-day multisport festival consisting of a sprint-distance triathlon on Friday afternoon, Gran Fondos (road bike rides) on Saturday morning and running races on Sunday. Participants can enter individual events or take one of two “Eurekan” challenges. The name not only is the moniker of the event, but also refers to participants who complete the ultimate challenge! 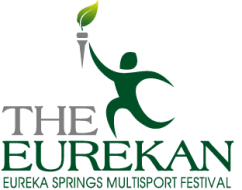 Any participant who enters the “Full Eurekan” who can complete the triathlon, 100 mile ride and 10K run will be known as “The Eurekan”! There is also a Half Eurekan competition which is the triathlon, 62 mile bike ride and 5K run. The triathlon is located on Holiday Island, just a few minutes from downtown Eureka Springs. The finish line for the biking and running events are the same place each day which is located in the heart of Eureka Springs on historic Main Street in front of the Eureka Springs City Courthouse. WRM works in conjunction with World Vision. World Vision is a Christian humanitarian organization dedicated to working with children, families, and their communities worldwide to reach their full potential by tackling the root causes of poverty and injustice. Working in nearly 100 countries around the world, they serve all people, regardless of religion, race, ethnicity, or gender. Awesome Pre-Race Pasta Dinner and renowned Post-Race Meal! Shoe Recycling Drive – bring your old shoes to us! Flat Course along the White River! Registration is limited to 750 participants – sells out! Family & Runner friendly atmosphere!